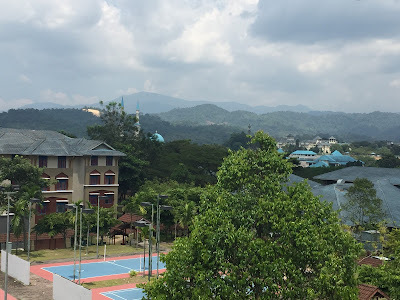 I just finished my first semester, first year in International Islamic University Malaysia (IIUM/UIA) Gombak campus. So I guess, this is the time to share a little bit about IIUM. There are two campuses for undergraduate which are Gombak campus and Kuantan campus. Soon, there will be one more campus in Pagoh, Johor allocated for Kulliyyah of Languages & Management (KLM) which temporarily located at my faculty. 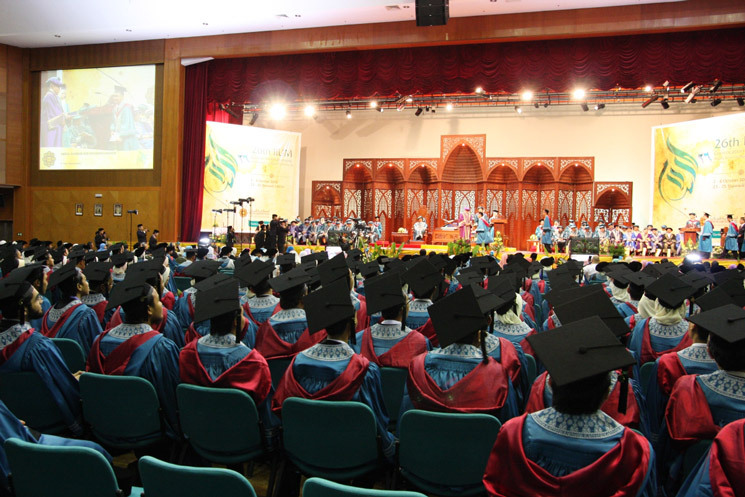 Kuantan campus is mainly for the science-based programmes like Medicine, Dentistry, Pharmacy, Nursing, Mathematics, Physics, and so forth. Meanwhile, Gombak campus is where the other non-science programmes are located except for Engineering and IT/Computer Science. Since I'm studying at Kulliyah of Information & Communication Technology (KICT), so I will focus on Ta'aruf Week at the Gombak campus. What is Ta'aruf Week? Simple, it is an orientation week. I insist on sharing about Ta'aruf Week or also known as Tawe is because my entry regarding Pusat Asasi UIA will always get high traffic during registration period. Maybe because a lot of new intake students are curious about the registration process/flow, and also about the university itself. So now, I want to give some overview to those who are going to join IIUM Gombak in the upcoming intakes. Yes! I am more than happy to help and welcome my new IIUM family. First of all during registration day, you guys most probably will head to your respective mahallah to take your room key. During mahallah registration the committee will ask you to fill up a form to be submitted together with a copy or two copies of passport size photo. I can't remember. Then, you can proceed to your room and keep all your belongings safely in the room. After that, you guys should proceed to the Cultural Activity Centre (CAC) for matric card photography session. The registration will start in the morning and usually after zuhur on the same day, committees will announce to gather at any area in your mahallah. Usually there will be a few committees assigned to each mahallah as person-in-charged (PIC) for that particular mahallah. After sitting in CAC main hall, basically your torturing moment begins. Haha. Unlike Tawe in CFS IIUM, in main campus the orientation week will be more sophisticated, methinks. A lot of departments, units, and centres will brief to the new students about who they are, what they do, and how they can help you. Of course, there will be Kulliyyah (Faculty) briefing also at you respective Kulliyyah. Apparently, you guys will be sitting in the hall from morning until night for five freaking days. If you guys are lucky, Deputy Rector (Academic Affair) Prof Datuk Dr Mizan Hitam will force Tawe committee to let you guys go to your respective mahallah and take a quick bath before continuing the night session. Night session usually consists of sessions like forum, motivational talk by the university rector, and mahallah briefing. 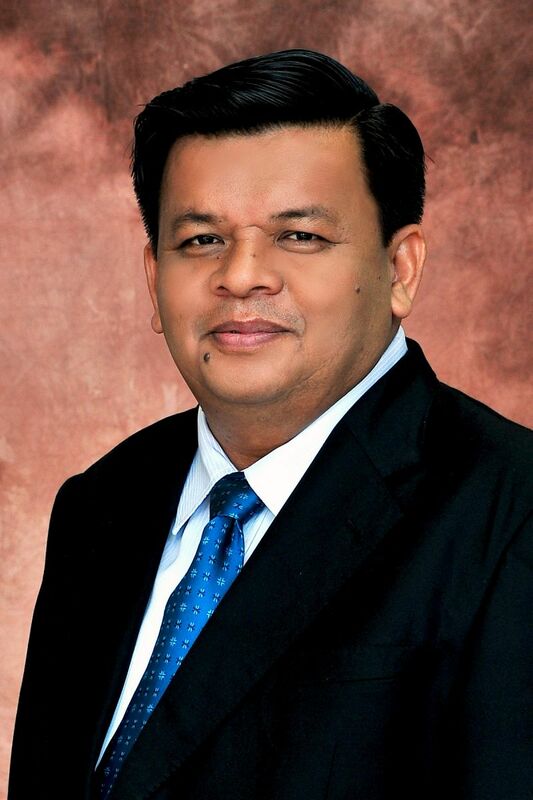 Prof Datuk Dr Mizan Hitam. Big Boss for every Ta'ruf Week. As aa reminde, Ta'aruf committees are usually very strict with your outfit. So, please please be careful with your outfit especially your shoes, black shoes recommended. Besides, please bring your power bank along since you need you phone all the time to avoid boredom. Haha. The most strictest session will be Bi'ah Ceremony in which you guys will make an oath in front of the senate members. University senate for your information; consists of rector, deputy rectors, and the deans. You guys will be meeting most of them if not all during Bi'ah Ceremony. During my time, we were asked to wear batik shirt and black shoes. Please bare in mind that the committees will check your apparels one-by-one before entering the hall. So, there is no escape to it. My advice, just follow whatever they say. Regarding the tests, usually English Proficiency Test (EPT) and Arabic Placement Test (APT) will be held before the Ta'aruf week itself. 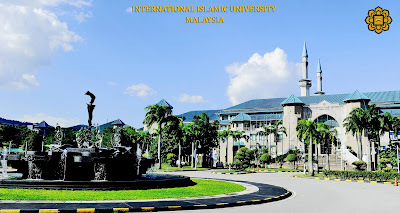 It is important to note that international and direct intake will register earlier than those from CFS IIUM. Other tests will be Tilawah and Fardhu Ayn test. For Tilawah Placement Test (TPT), only those with name stated on the list provided will have to sit for the test. Meanwhile for Fardhu Ayn, as long as you have passed Study Circle, Fardhu Ayn, and Tilawah you don't have to sit for the test. However those who have passed Study Circle and Fardhu Ayn in CFS will proceed with Halaqah 2, and those who have passed Tilawah in CFS will proceed with Halaqah 1. Basically, international and direct intake students will have to sit for all tests. 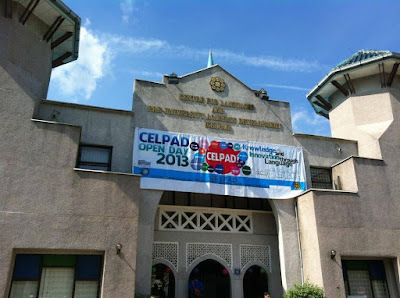 Unlike CFS, in Gombak Tilawah classes are handled by Celpad. So, please check with Celpad whether you guys have to take Tilawah as graduating requirement or not. Exit in CFS does not mean you guys are exempted here in Gombak. In a nutshell, haha. Ta'aruf Week here in Gombak Campus will be much more tiring compared to Ta'aruf Week in CFS. So, please be mentally prepared and try not to skip any sessions because most of the sessions are very useful throughout your life as UIA student. Don't worry, the seniors won't torture the freshies unlike some other universities because it is not our culture in the Garden of Knowledge & Virtue since its existence in 1983. Assalamualaikum. I hope you're still active because I don't really know a lot of people who could help me out with this particular issue. I've gotten my offer to study Bachelor of Human Sciences (English Literature) at IIUM, Gombak and so far, all seems well. However, I'm worried that I might be missing out something important. I've gotten the offer letter online and such and I've already printed out all that I'm supposed to (according to the website) but I noticed that there aren't many important documents to fill except for a signature on a page of 'biodata' and some short infos in the medic form. They did give a list of documents to bring on registration day but... sikit kot. I just worry because my cousin who'll be proceeding his degree at UTM has crazy amount of docs to fill up and stamped while I have... almost zero. I don't even know my marhallah. Am I missing out on something here, or is this just how IIUM carry out its registration? I'm really sorry if I'm bothering you in any way. But it would be nice if you could shed some light on my current predicament. first of all are u a direct intake student? or u studied in cfs for foundation? just follow whatever documents in the list and bring both original and photocopy just in case if you need extra. regarding your mahallah, during my time there is a so-called car sticker that you should print. whichever mahallah stated on the sticker, that is ur mahallah actually. just proceed to that mahallah and register. bring along a copy or more of ur passport size picture for their record. Assalammualaikum. 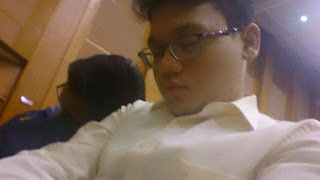 Nk tnya, saya mmg dri cfs iium, masa tawe nnti perlu ke ambik tilawah test ? Wasalam. Maaf lambat sbb agak busy dan tak perasan notification. Perlu klu nama ada dalam list yg diorang keluarkan nanti. Assalamualaikum,bagi yang dah exempted EPT and APT dekat CFS kena ambil lagi ke dekat main camp? assalam.nak tanya...kalau asasi medic campus di pj or gambang? Hye! Nak tanya kalau dekat cfs dh pass fardhu ain, then kat gombak kena ambik study circle 1012 eh? Hey there! According to my friends yg fardhu ain during cfs, diorang ambik study circle 2 kat gombak. tak familiar sgt with study circle system sbb saya ambik 6sem niche debate. p/s but Tilawah still kena check dgn celpad. My son got admisison in Gombak, IIUM and we are gpoing there on 5 Sep 2017. From what time to what time orietation program will be conducted ? Can we meet our son after 5.00 or 6.00 pm during orientation week? We are accompanying him and we have to return to our palce in Brunei. We can book our retrun tickets if we are clear about this. I cant really help much on your inquiry since I'm not part of the orientation week's committee. However, based on my experience your son will be occupied with various talks n briefings from morning until night during the orientation week. You can visit your son once he has done with the orientation. Thank you Mr. Fikri Faris. Assalamua'laikum, saya ex cfs yg akan daftar pd 8/9 ni. Tp skrng saya mengalami demam campak, jd x dpt hadir untuk pendaftaran hr tersebut atas nasihat dr. Macam mana harus sy buat. Jazakallah. waaalaikumsalam. apa2 pon cuba contact pihak uia (AMAD atau STADD) and discuss. saya tak pasti procedure sebab tak pernah alami masalah yg sama. tapi insyaaAllah ada penyelesaian. syafakallah. assalamualaikum. saya student ict from cfs pj. inshallah saya akan habis study di cfs hujung tahun ni. jadi if saya nak apply for degree nanti kena apply through online ni (http://eadmission.iium.edu.my/index.php/student/eas_login) or kena tunggu surat from iium je? and also, memang every students from cfs even yang dapat pointer hanya 2.33 memang akan diterima masuk ke? thank you. Wa'alaikusalam. Untuk student cfs insyaaAllah, yg lepas syarat minimum semua akan masuk main campus for undergraduate study. Yg penting, pay attention to all announcements for graduating students masa kat cfs and follow the process so that semua proses pendaftaran ke degree berjalan lancar. 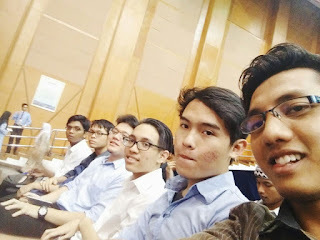 Untuk surat tawaran, nanti boleh check online je asalkan kita lepas syarat minimum and dah habis semua subjek cfs (graduated).